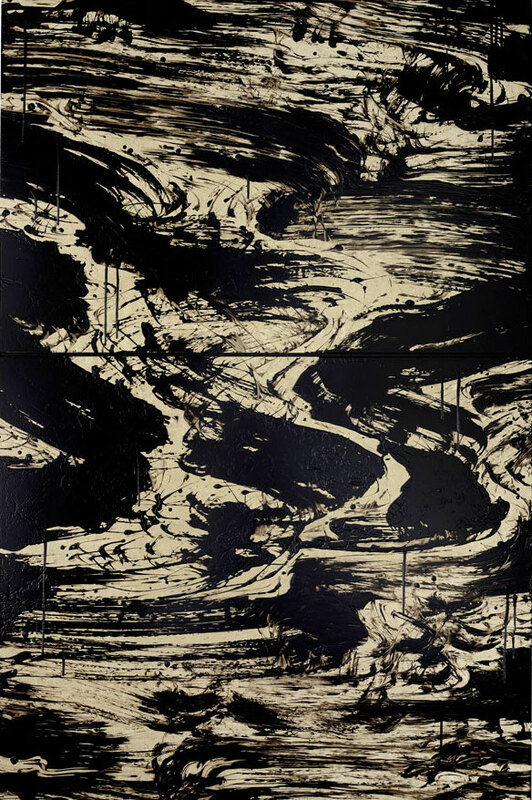 Anna McNay interviews painter Fabienne Verdier whose exhibition Rhythms and Reflections is on view at Waddington Custot, London through February 4, 2017. Verdier remarks: "All my work is a kind of meditation. When I create a background for a work, I do so layer after layer. I first try to create a kind of vibration. Then I stay with the background for a long time before having the intuition of how the line will cross the space. I destroy a lot of my work. It’s very rare to successfully encounter real life in it and, if it doesn’t work, I destroy it by fire. Becoming a painter takes time. Even if 'painting is a mental exercise', as Leonardo da Vinci said, the battle of the painter is to refuse mental habits, the mental reflexes that he has built up during his working life. It is the hardest thing imaginable. And if you have talent, then the danger is even greater. It is amazingly difficult not to surf on it. You have to be very careful. Beyond virtuosity, what is there? To get there means constantly questioning one(my)self, every morning in the studio. It means being capable of a receptiveness that is almost cold, that allows you to open yourself to the unknown and unexpected, to anything that comes along."